Unlimited Free Assessments for Coaches, Consultants and Companies, Forever. You get the same quality assessments that other publishers charge over $30 for. Yes! We used to sell the TalentTools assessments and psychometrics, but over the years we've retired many of our assessments to focus on our leadership development work. Eventually we will be adding all of our retired assessments to TalentTools and offering them for free, forever. How Can I Give it A Try? Spend a minute creating an account. Your account will be available instantly and our simple administration system allows you to be self-sufficient. Go ahead, give us a try. You're only seconds away from being able to assess employees and generate unlimited reports free of charge! The report provides a comparison to over 25,000 adults and provides useful exercises to develop hardiness and resilience. The Innate Index is a new generation five-factor personality (FFM) useful for executive coaching, training, talent selection/promotion, and research. This validated personality assessment consists of 45 adjectives and is normed on over 50,000 leaders, professionals, technical, and administrative employees. The Innate Index provides a comprehensive feedback report with a clear picture of strengths and areas of improvement. The Career Profile Inventory is an online career interest measure, suitable for employees at all levels of an organization. It provides targeted feedback in three areas, providing a complete profile of an employee’s career stage, interests, motivational anchors, career path preferences and political style. The comprehensive report compares and contrasts current to ideal preferences in career stage, path preference and political style orientation. By analyzing the ‘gaps’, you will quickly identify the causes of employee satisfaction resulting in increased productivity and reduced turnover. "Wow – I’m blown away by your offer, and can’t wait to begin embedding these into our coaching program this fall, and perhaps our new Executive Leadership Academy next year. In the next couple of weeks I’m teaching a course in the MBA program that the Career Profile Inventory would be a great fit. Envisia’s twist on the NEO-PI-R® offers a more palatable framework (no neuroticism dimension to need to explain!)." Register today to get unlimited assessments, forever. We've been processing assessments securly for over 18 years across all sectors. We have our own servers housed in our own locked cabinet in a secure data center located in London, UK. 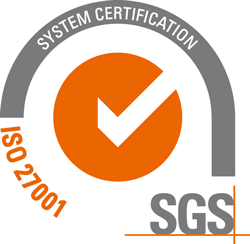 We maintain ISO 27001 certification for Information Security Management. TalentTools is brought to you by the organizational psychologists and developers behind Envisia Learning. We've been helping coaches, consultants and organizations all over the world develop their leaders, increase engagement and nurture their cultures for the past decade. We have offices in Los Angeles, CA and Cambridge, UK.